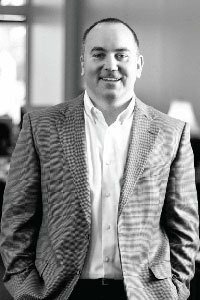 Jimmy Archie joined Realty Capital in 1997 and has been an integral part of land acquisition and development for a number of the company’s commercial properties. In 2011, Jimmy became a partner in Realty Capital and currently serves as one of its three Managing Directors. Over his nineteen-year career with Realty Capital, Jimmy has developed over 65 office, medical, and mixed-use buildings totaling over 1.3 million square feet. Most notable projects are The Village at Colleyville, a planned 600,000 square foot mixed-use development in the City of Colleyville, which is home to Colleyville City Hall and the Colleyville Public Library and Lakeside DFW, a mixed-use development on Lake Grapevine in Flower Mound, Texas, consisting of 2,200 medium to high density residential units and 500,000 square feet of commercial space. Jimmy has served as a development consultant for third-party owners including Stardust Celebrations, Luxor Jewelers and Jack Prewitt Aviation. His passion is developing mixed-use projects that provide a great quality of life for residents and creates opportunities for entrepreneurs to pursue their dreams of owning a business in a thriving mixed-use environment. After attending Jesuit College Preparatory School in Dallas, Jimmy graduated from Princeton University with a Bachelor of Arts Degree in Economics, where he served as co-captain of the 1996 football team. He volunteers as an Advisory Board Member for Christ the King Catholic School in Dallas and serves as a board member of the Jesuit Alumni Association. Jimmy resides in Dallas with his wife, Lori, and their two children.